Centre-forward Tom Brewster hit five second-half points as Fermanagh came from behind to send Clare out of the All-Ireland SFC qualifiers, defeating the hosts by 0-15 to 0-10 in Ennis. Denis Russell's sixth point, which put Clare 0-10 to 0-08 clear, proved to be the home side's last score as the Ulster side romped home. Fermanagh led 0-06 to 0-05 at the break but Clare, whose captain Conor Whelan was forced off with an injury, hit back thanks to Russell. But Brewster's contribution, which included a run of two frees and a superb '45, and two points from substitute Martin McGrath saw the Ernesiders take the spoils. The counties' first ever championship clash had a quiet start as Russell and Brewster swapped frees before the hosts, who accounted for another Ulster side, Antrim, in last month's first round, went ahead through Stephen Hickey. Fermanagh fought back with points from Eamonn Maguire and Sean Doherty to lead 0-03 to 0-02 by the midpoint of the first half. With Clare's full-forward line failing to click, the visitors burst into a double scores lead with Andy Little and Ciaran O'Reilly (0-02), who came into the game having hit 2-07 in the Ulster championship, scoring in a purple patch for Charlie Mulgrew's men. But Michael O'Shea and Russell (0-02) kept Clare interested with vital points just before the half-time break. The Banner, whose management team of Donie Buckley and Michael Brennan reckoned that home advantage was certain to stand to their side, levelled through Ger Quinlan early in the second half. 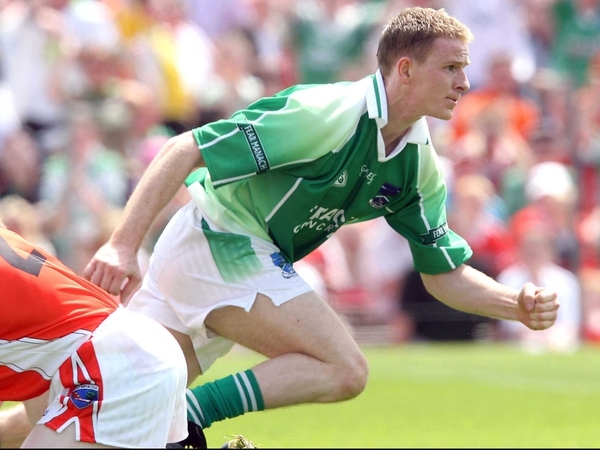 Fermanagh substitute Damien Kelly's reply was soon swamped by efforts from the ever-willing Russell and O'Shea. Russell landed his fifth point - fourth from play - to stretch Clare's lead to 0-09 to 0-07. Russell then struck again, in reply to another Maguire point. Yet Fermanagh had the legs on their opponents for the closing 20 minutes. Brewster hit three on the bounce, 2004 All-Star McGrath made an immediate impression with a point from distance and the duo wrapped up the win with further efforts just past the hour mark. Fermanagh supremo Mulgrew, who has a fully-fit panel to call on apart from Liam McBarron (kneecap) and long-term injury victim Tommy McElroy, is now looking forward to a decent run in the qualifiers. Clare: D O'Brien; P Gallagher, C Whelan, K Dilleen; N Considine, B Considine, G Kelly; G Quinlan (0-01), P O'Dwyer, M O'Shea (0-02), David Russell, Denis Russell (0-06 (4f)), E Couglan, S Hickey (0-01), M O'Dwyer. Subs used: R Donnelly for Hickey, R Slattery for G Kelly, D Kelly for Whelan, D Blake for Couglan, T Neiland for Quinlan. 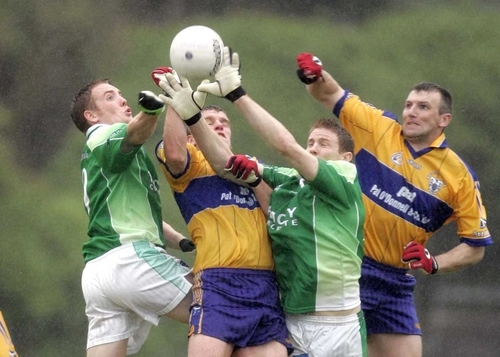 Fermanagh: C Breen; R McCluskey, B Owens, S Goan; P Sherry, H Brady, R Johnston; J Sherry, N Murphy; M Little, T Brewster (0-07 (5f, 1 '45')), E Maguire (0-02); A Little (0-01), F Doherty (0-01), C O Reilly (0-02 (1f)). Subs used: D Kelly for O'Reilly, M McGrath (0-02) for M Murphy, F Reilly for M Little, N Bogue for Johnston.